Tokyo's metropolitan government has produced an anime short to highlight sightseeing spots around the city. The aim is to lure more tourists to the capital city of Japan. The Japanese Yen (¥) rate is approaching the strongest level in 15 years recently — hitting ¥85.33 to US$1 earlier this month. "The yen typically strengthens in times of financial turmoil as Japan's trade surplus makes the currency attractive as it means the nation does not have to rely on overseas lenders." Though many experts view the 85-Yen mark as the time for the government to take steps to weaken the currency, it seems doubtful that it will do so. Personally, we've seen a 25% reduction since arriving in Tokyo three years ago today. That means for every dollar received in 2007 (¥115), we're receiving 75¢ (¥85) now. Meanwhile, missionaries struggle to keep support levels up against the stronger Yen. Donations given in US$ or other currencies simply don't go as far as they once did. Personally, we've seen a 25% reduction since arriving in Tokyo three years ago today. That means for every dollar received in 2007 (¥115), we're receiving 75¢ (¥85) now. Combined with a bad economy and soaring health care costs, it's a tough recipe to swallow. It's a struggle for missionaries to stay on the field. You cut where you can and then pray you can survive the onslaught. We're not alone, as missionaries are feeling the pinch in many places, not just Japan. Churches in North America have had to cut back their support to missionaries due to a difficult economy. We know of a dozen or so families across the globe have reluctantly had to leave the field because they can no longer sustain the level of support needed. What can we do? Do we just fold up our tent and call it a day? 1) Pray for God to send laborers and to provide the funds for the laborers He has sent. Matthew 9:37-38 "Then he said to his disciples, 'The harvest is plentiful but the workers are few. Ask the Lord of the harvest, therefore, to send out workers into his harvest field.' "
Pray also that the U.S. Dollar would strenghten against the Japanese Yen. 2) Give to missions where God burdens you. Praise God for many who are giving sacrificially to advance His work in the world. 3) Stewardship - Mission organizations need to continue to look for creative ways to achieve a greater degree of stewardship. J. Hudson Taylor said: "God's work done in God's way will never lack God's supplies." If He's not providing, then maybe we need to look hard at what we're doing and make some changes. 4) Partnership in the Base Camp - That said, I think there are good missions doing good things, but they just don't have a good economy of scale. Organizations will need to consider whether they can achieve more together than separately. Leveraging resources and administrative support is one way to achieve a better economy of scale. These difficult economic times could be God's way of bringing together more partnerships in the base camp. This is what Asian Access is now seeking to do. 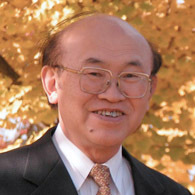 (See " Asian Access seeks sizable ministry expansion".) We have a great mandate in Japan, but think it's time to join together with others to accomplish something bigger for God than we could do separately. The risk for losing some control is there, but the potential upside to foster a movement could be huge! 5) Partnerships on the Front Lines - Missions is undergoing some real changes. A documentary I helped to produce, Missions: Redefined raised some of these issues. It was an eye-opener to see how Western missions have been perceived. As the landscape changes, our partnerships with national-led movements might be a key to achieving something greater together. Sharing our kingdom resources for the greater good seems like a God-thing. I certainly don't have all the answers. There's much more that we can do to address the current economic challenges. What do you think? Please give me your ¥2 . . . because it's now worth more than 2¢! Becoming a missionary in a foreign land has surely deepened my appreciation of the incarnation of Christ. But wait a minute . . . This was the arrival sign of the world's Savior—a baby wrapped in a blanket lying in an animal's food trough? Messiah and Master arriving as an infant? I moved into this new world of Japan with some knowledge of how to survive here. I was not a helpless baby, but I sure felt like one. I struggled in almost everything. I struggled to learn how to speak a new language. No matter how I tried, I didn't understand what people were saying. I could not communicate much at all. I needed to acquire a taste for a different style of food. I grieved to exchange my self-sufficiency in America for reliance upon my new hosts. My neighbor had to teach me how to turn on my rice cooker! How was I supposed to be a communicator of the Gospel message from a position of weakness? The connection between weakness and grace had not crossed my mind. But gradually, I was able to say more and understand more Japanese. Over time, I became more familiar with my new world—a world that I was in, but not of. Jesus was born as a helpless infant. He left his mighty throne to be born as a tiny baby in a foreign world. He couldn't feed himself or change his diapers. He couldn't speak Hebrew or Aramaic immediately. He didn't know Jewish customs until he could experience them. But as he grew in stature, and as he studied, he learned language and culture, scripture and worldview. This learning was necessary for him to be able to teach others who his Father was. He started teaching at age 12! The reality that Jesus would lay aside his glory for this assignment is amazing to me. I had precious little to give up to be a missionary. Christ left everything. Think about all that he gave up to wrap his spirit in flesh—and a baby at that! And in exchange for what? It often makes me shake my head in wonderment to consider these lofty things. Despite the tremendous differences, becoming a missionary helps me to better understand a little of what Jesus experienced through his incarnation. Christ's incarnation challenges me to model my life after his missionary life. Wow, any sacrifice I may make is but a small offering considering . . .
Christ's incarnation humbles me to realize the Father's love for me to send his One and Only Son to a new world to save that world. Christ's incarnation compels me to show my Father to my Japanese friends. Being a dad myself helps me better understand our Father's love. But as a missionary, sharing with my Messiah and Master in a tiny, but powerful way, an incarnation of sorts shakes me to my core. 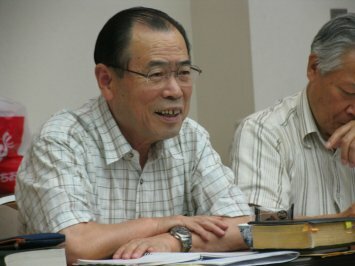 This is one of 29 devotional entries from Asian Access staff. If you'd like to download the A2 Advent Devotional, click here. A2 is thrilled to be a part of a bigger movement of God to 'love on Japan' in this time of great need. As a member of the Japan Evangelical Missionary Association (JEMA), Asian Access is extremely pleased to join the CRASH effort to bring help and hope to the people of Japan. We plan to be involved in many different aspects of the joint operation. CRASH-Japan is an exciting collaboration of Christians joining together to love Japan in practical ways! Soon we'll tell you more about how Asian Access is specifically contributing to the movement, but first let us tell you more about CRASH. Christian Relief, Assistance, Support and Hope (CRASH) is a network supporting Christians to do relief work in Japan and around the world. CRASH equips and prepares churches and missions to be there to help their communities when disasters strike and coordinates Christian volunteers to work with local ministries in the event of a disaster. CRASH conducts Disaster Volunteer Training seminars (DVT) for churches, schools or missions with a focus on pastoral crisis intervention and practical volunteer leadership. CRASH has also produced a child-safe place trauma intervention curriculum called "Operation SAFE" that is used to help children in evacuee centers recover from trauma. CRASH has provided leadership and coordination forvolunteers responding to typhoons, landslides, blizzards and earthquakes in Japan and internationally in cooperation with the other associations. CRASH equips Christians in Japan to be ready when disaster strikes to show the love of Jesus in practical and effective ways. 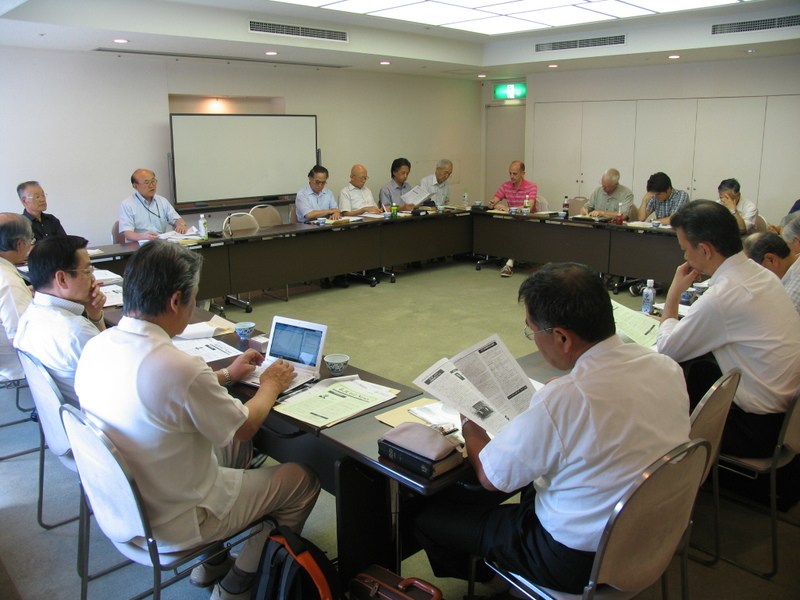 Their method is to provide a model of action, accurate information and volunteer training to a broad network ofchurches and ministries across Japan. 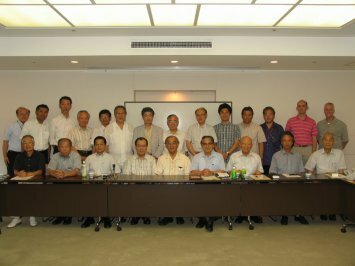 CRASH works closely with JEMA the Japan Evangelical Missionary Association (of which Asian Access is a member) and cooperates with the Disaster Relief Commission of the Japan Evangelical Association. By virtue of partnering with mission organizations, CRASH has a large network of experienced volunteers who know the culture and language. In the last few years, CRASH leaders have coordinated relief efforts in China, Haiti, Indonesia, New Zealand, and other major disaster areas. On Monday, March 14th, CRASH sent four survey teams to the Tohoku region by train, car, and motorcycle as early as 12:00 am to assess the damage, find staging grounds, and make contact with local communities to prioritize their needs. Additional survey teams will be sent out later in the week. "What will happen over the next month or so is that the rescue phase will wind down. When that is done, then the next phase will be relief, and we want to be part of the relief phase. There are many things we can do to relieve the suffering. After relief, there’s rebuilding and we want to be part of that as well." "Right now, it’s very unstable. The situation is changing quite rapidly. We don’t know what’s going on with the nuclear reactors. We don’t know which roads are open. We don’t know which communities are hardest hit. We know even know all of the communities that have been damaged. We cannot send volunteers into that region at this time. If we send in there now, that’s foolishness. They’re not prepared for it; they’re not trained for it. And we cannot take responsibility for it. Our job right now is to prepare to send thousands of volunteers into that region both safely and effectively. To do that, we need coordination. We need to find out a lot of information. And we need to begin preparing for the next stages." "You don’t have to be rich to help. You don’t need to beconnected to help. We are volunteers. But we can make a difference." In the coming days, we will be sharing more info about what we are doing in conjunction with CRASH, as well as through our own network of local churches.